What’s this? ANOTHER lemon recipe? We’re sorry, but we bought so many Meyer Lemons we had to make as many recipes as we could. Now here’s a fun story, after we made this and the ice cream was churning, we went to take a taste and realized we forgot to add sugar. So you could imagine our surprise when we went to taste it, and it was completely and totally bitter. We added some bakers sugar, and it helped, but what we ended up having to freeze the ice cream, then let it melt completely and then re churn it. Despite our little flub, the ice cream was really quite delicious and we highly recommend this recipe. And remember, DON’T FORGET THE SUGAR! Step 1: Pour milk, cream, sugar, zest and salt in a medium sauce pan and bring to a boil. Stirring until all the sugar is dissolved. 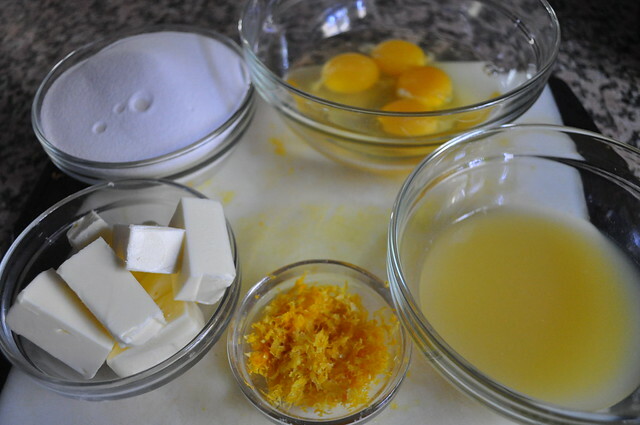 Step 2: In a small separate bowl, mix together the egg yolks until smooth. Step 3: Very slowly pour the hot cream/milk mixture into the yolk, making sure you are stirring constantly to prevent the eggs from curdling. Step 4: Pour the egg/cream mixture back into the sauce pan and cook over medium low heat for 3-5 minutes and the mixture coats the back of the spoon. Remember to keep stirring constantly and do not let this mixture boil. Step 5: Stir in the lemon juice and let cool on the counter until it’s at room temperature. Stir occasionally. 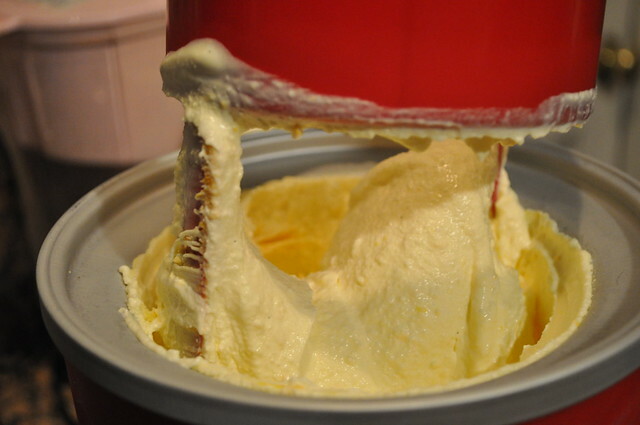 Step 6: Personally, we always make our ice cream base the day before we need it so it can chill overnight. This comes from tons of trial and error, but if you don’t have the time, chill in the fridge for at least 3 hours. 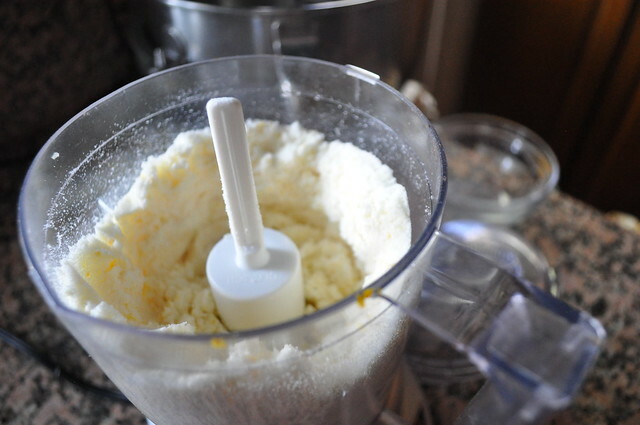 Step 7: Transfer the chilled mixture to the bowl of the ice cream maker and churn according to the manufactures setting. Step 8: Freeze for at least four hours before serving. 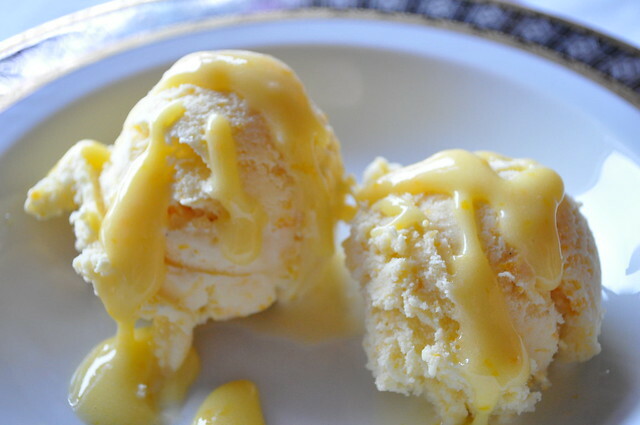 We served ours with…..LEMON CURD. 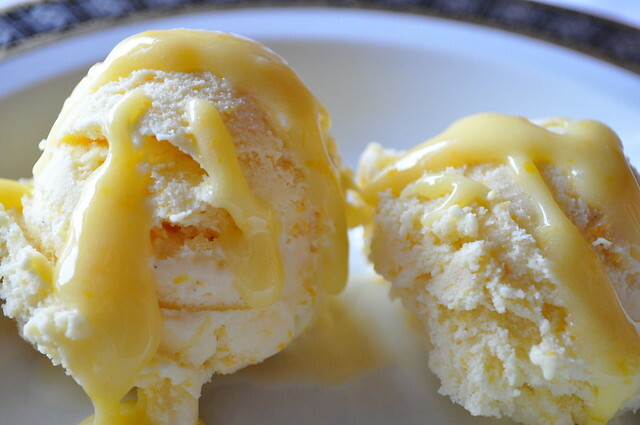 Who needs chocolate sauce when you have lemon curd?! 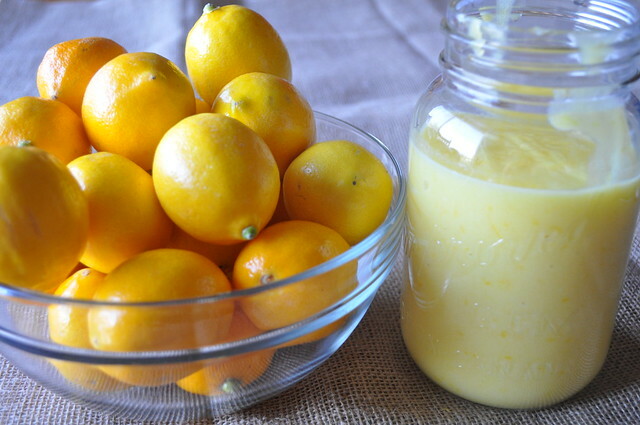 Anyways, after we made all that delicious lemon curd, we needed to find recipes that utilized it. 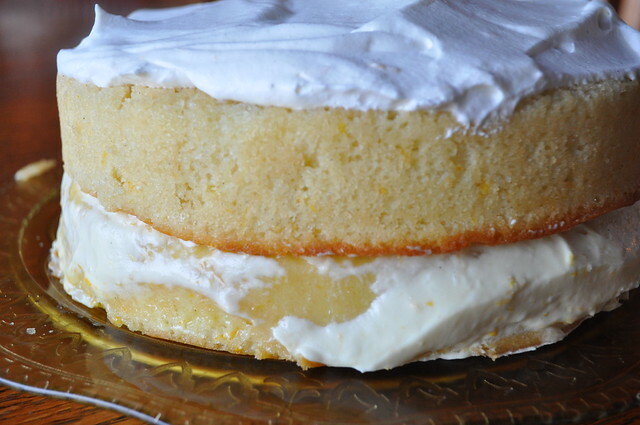 And making a mouthwatering lemon cake seemed like the best idea. What we love about this cake is that there is no frosting and the cake is “naked”. And of course looks very rustic, especially when it’s hot in LA and things tend to get a little melty. Today’s cake recipe was inspired by the Lemon Velvet Cake from Rock Recipes. 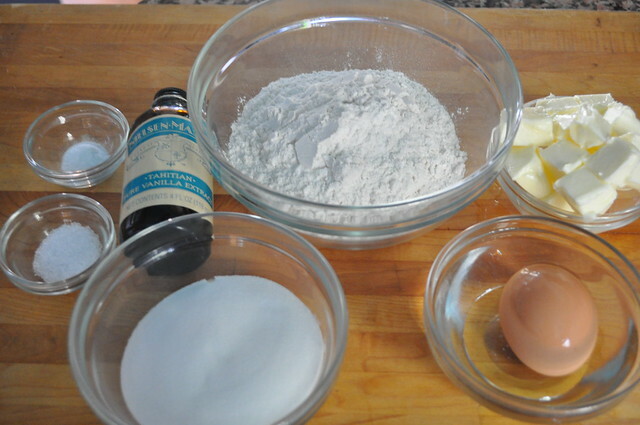 Using baking spray or butter, grease and flour 2 nine inch round cake pans. We use a cake pan with a “arm” so we didn’t have to place parchment paper at the bottom. If you don’t have a cake pan with an arm, place parchment paper at the bottom of the cake pans. 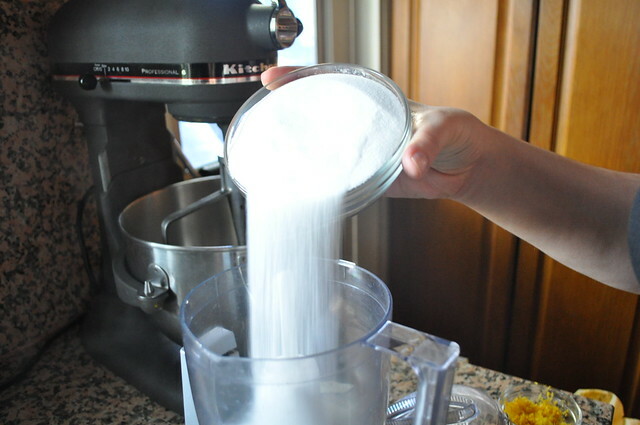 Sift together both of the flours, baking soda, powder, salt and sugar and set aside in a separate bowl. 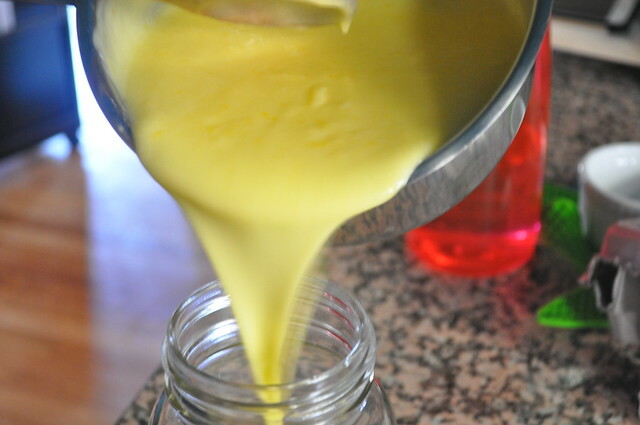 In a stand mixer or using an electric mixer beat together the vegetable oil, butter, vanilla, lemon extract, and lemon juice. 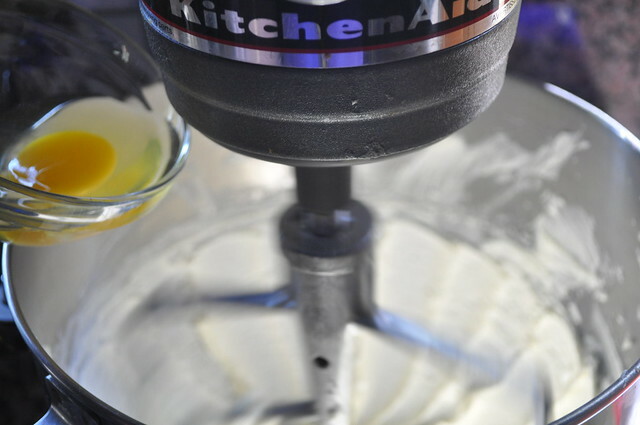 If using the a stand mixer, beat on a high speed with a whisk attachment until light and fluffy. When the mixture is light and fluffy, add the eggs in one at a time. 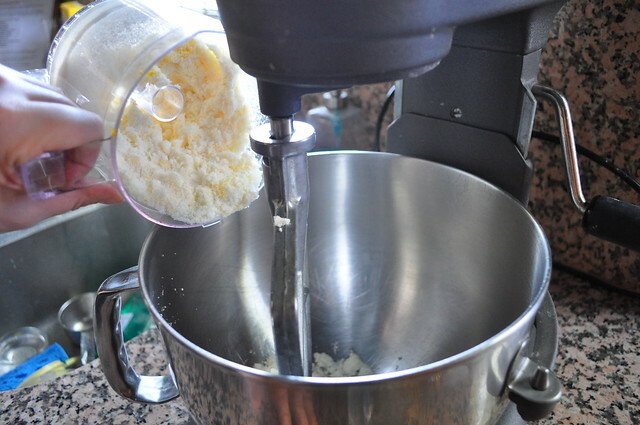 Always starting with your dry ingredients, alternately mix in your flour mixture and buttermilk. 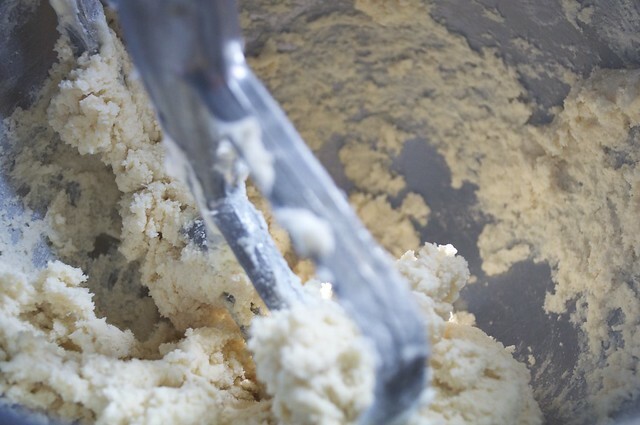 Do not over mix the cake batter, as soon as their are no lumps pour the batter into the prepared cake pans. Bake for 25 to 30 minutes or until the toothpicks come out clean. Allow the cake to cool for 10 minutes in the pans and then remove and let cool completely on racks. After the cakes have cooled completely, poke a couple of holes in the cake and pour some lemon curd on the cooled cake. 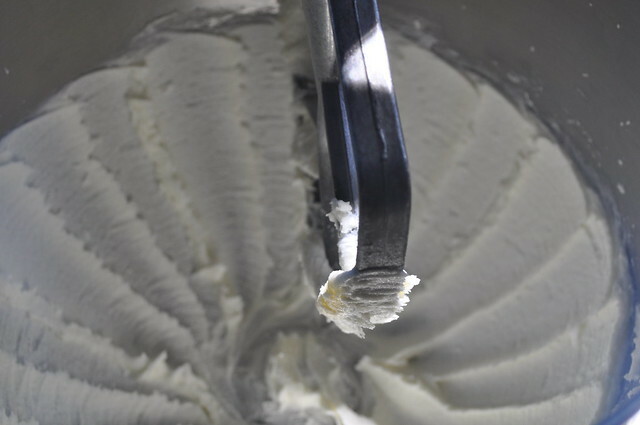 Prepare your whipped cream, once the cream is taking shape beat in two to three tablespoons of your prepared and cooled lemon curd. Once mixed, place in the fridge until cool. If your in a hurry, place in the freezer for 10 minutes. 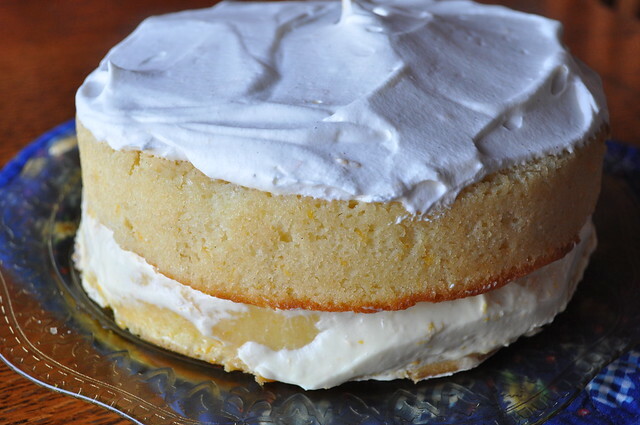 Now, you can use the whipped lemon curd as the filling and the outside “frosting” or make a fresh batch of whipped cream for the top. We did the whipped lemon curd, and fresh cream on the outside. But it’s really up to you! 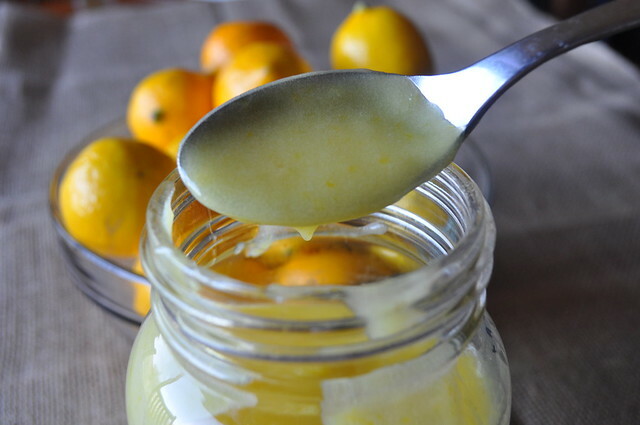 As you know, we love Meyer Lemons, and we LOVE lemon curd. 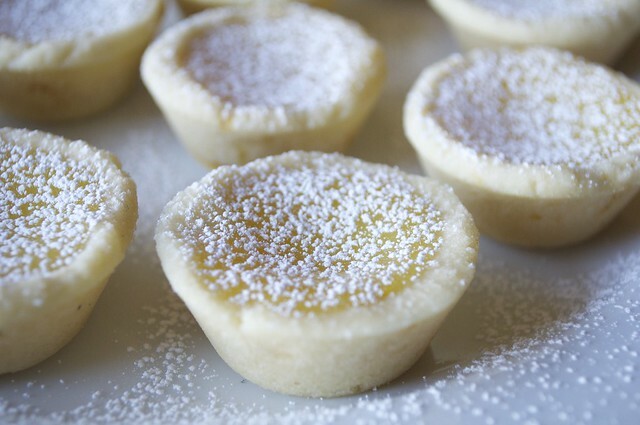 So, what better way to use our luscious lemon curd than to make adorable little tartlets that look “rustic”-professional *wink*. Meyer lemons are originally from China; they’re a hybrid of true lemons and mandarins, which is what creates those wonderfully fragrant and sweet lemons. Fun fact about citrus: the common fruits we know lemons, limes, grapefruits and oranges are actually major hybrids. They all orinally stem from citrons, citron Papeda, mandarins, pomelos, and the endangered Indian wild orange. 2 sticks of unsalted butter, room temperature. 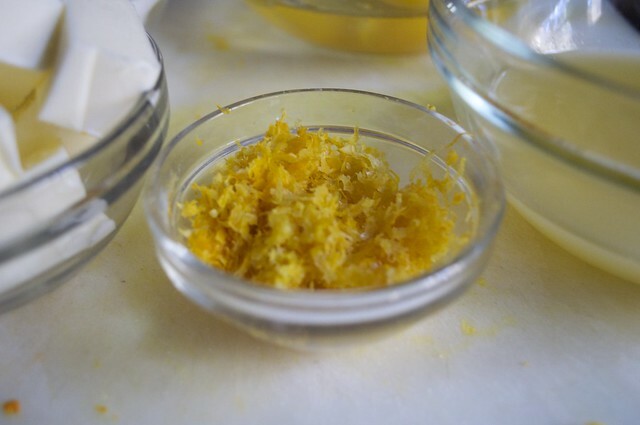 Because Meyer lemons are smaller you need more to make this curd, zest the lemons and try to avoid zesting the white part of the lemon, which is called the pith. After you zest the lemons cut the lemons in half and juice them. 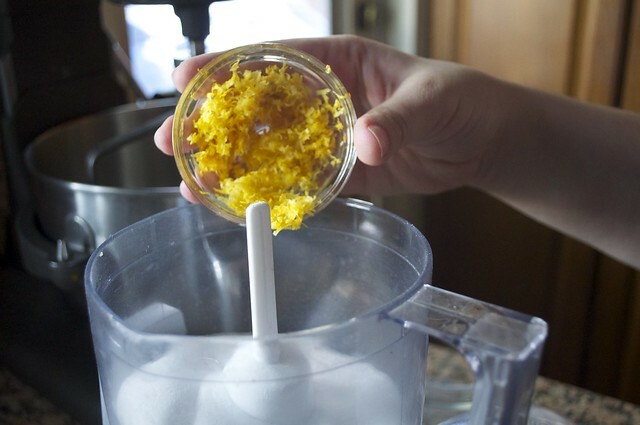 In a food processor pulse together the sugar and lemon zest until the lemon zest is fully incorporated to the sugar. 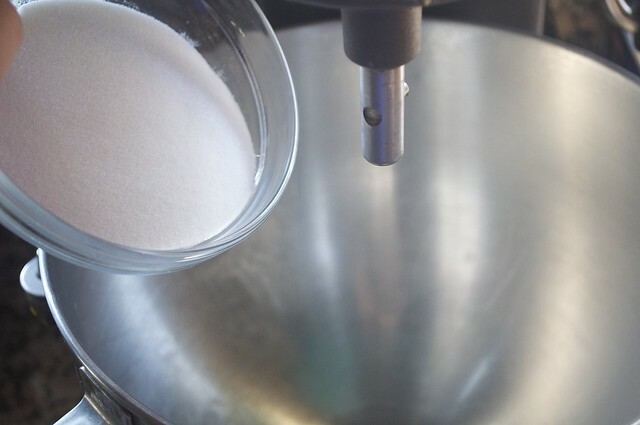 The sugar will have a “damp” texture. 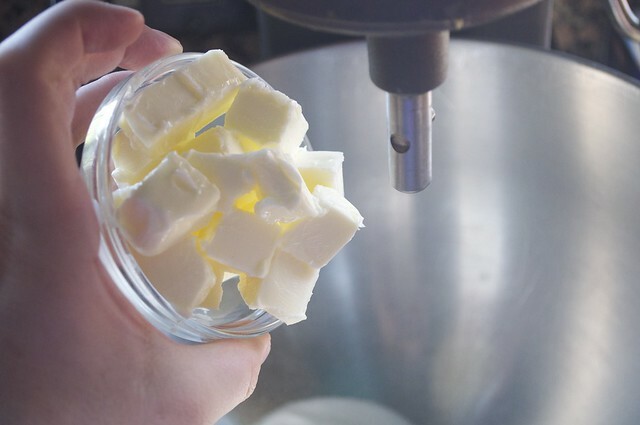 Cream together the butter and then mix in the sugar. Beat in the eggs one at a time and then add the salt and lemon juice. At this step, the curd is going to look absolutely disgusting, you’re probably going to think you fucked it up. Don’t worry. It’s supposed to look that way. Trust us. 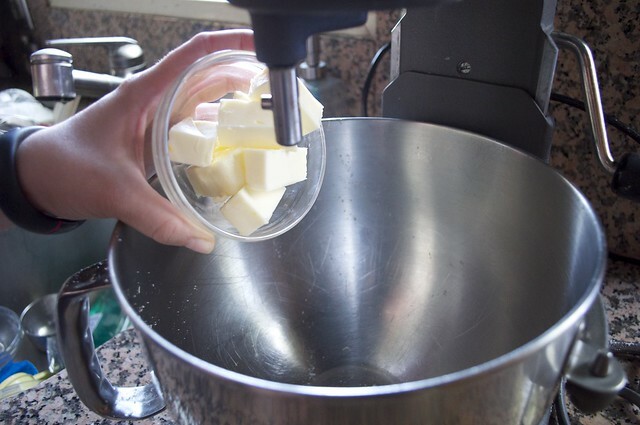 Using a stand mixer or a hand mixer, beat together butter and sugar until thoroughly mixed. Three minutes of high. Add the eggs one at time fully incorporating one before adding the next. Add the vanilla and then the lemon zest. Finally, at a medium speed add in the AP flour, baking powder, and salt. Mix until just combined. Remove the dough from the bowl, and wrap in parchment paper. Place in the fridge four about thirty minutes. 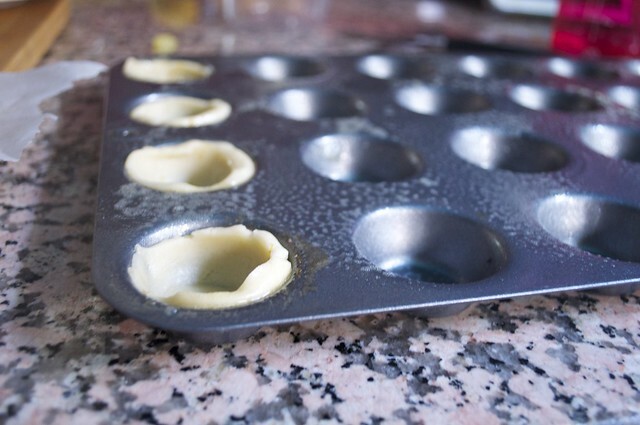 Preheat your oven to 300°and grease a mini muffin pan with cooking spray. 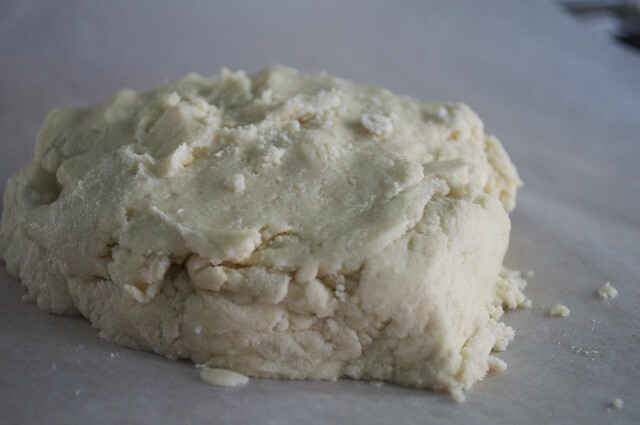 Once the dough is throughly chilled, remove the dough. Make small balls and push them down into the mini muffin pan using your thumbs or something rounded. Take the cooled curd and spoon the mixture into the cookie dough crusts. 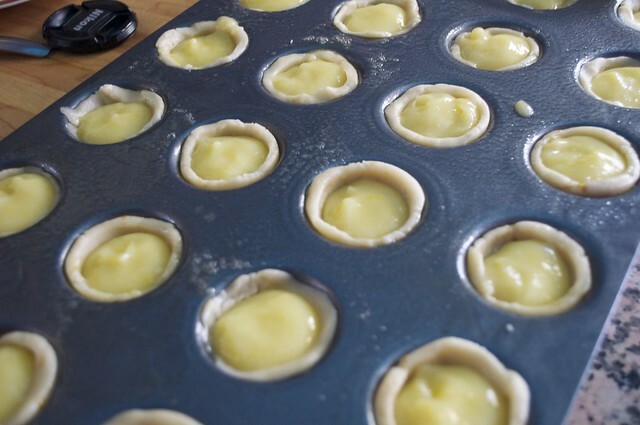 Bake for about 12 to 14 minutes, when you remove the mini tartlets they will jiggle slightly, that’s okay. Let them cool and then remove. 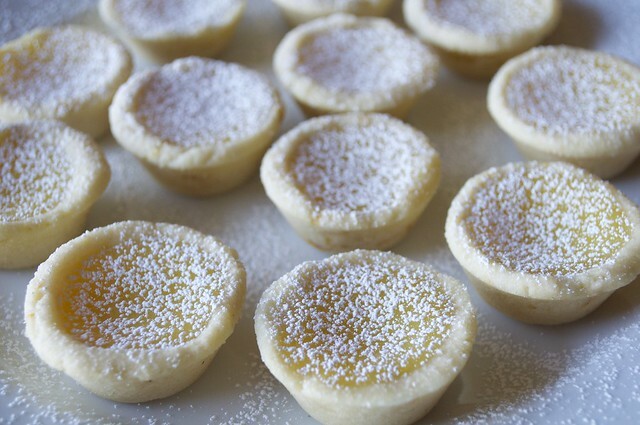 Sprinkle with powder sugar or a fresh lemon whipped cream and enjoy! This curd may be one of the best things we have ever made. And the recipe comes from the Queen Ina Garten, so you know it’s good. And it’s easy. Last week when we were shopping we saw Meyer Lemons, and this is first time we had seen them in the market so we obviously bought 6 bags of lemons not knowing what we were going to do, but we knew it would be something amazing. 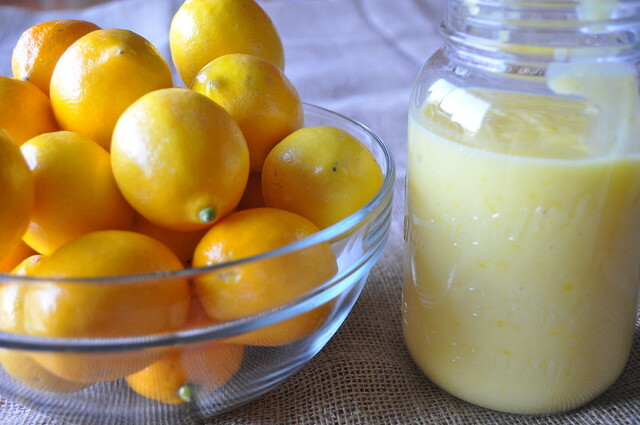 This recipe was the first of many Meyer Lemon Recipes that we will be sharing. We’re honestly looking into buying a Meyer Lemon Tree so we have unlimited Meyer Lemons. This curd is probably one of the best things you can make with these lemons. It’s so good, you can just eat it with a spoon or on toast. We don’t have pictures for this step, because honestly, when we did it, we (Marlee) thought we screwed up. So we stopped taking pictures, BUT KEEP GOING. IT’S WORTH IT. Next, transfer the mixture into a sauce pan. 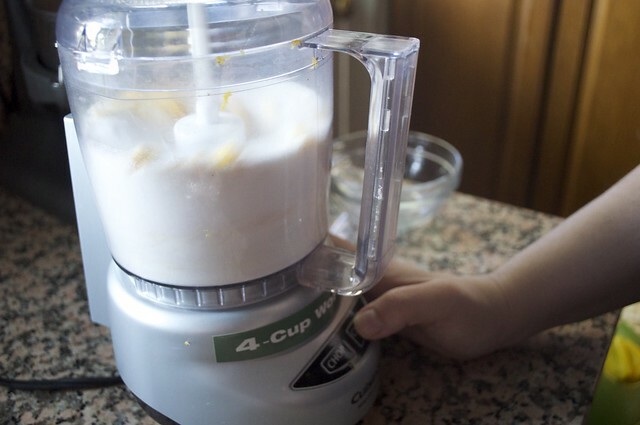 Stir constantly over a low heat until the mixture starts to smooth out and eventually begins to thicken. 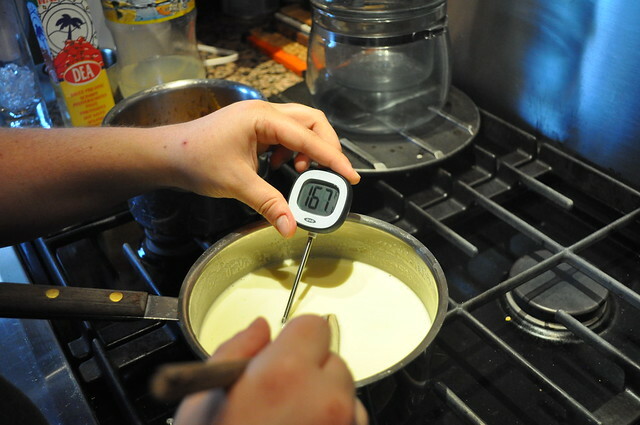 Check occasionally with a digital thermometer and when the temperature reads 170° you can remove from the heat. Cool to room temperature and then refrigerate. Look at how beautiful this is. So smooth, so creamy! So luscious!